By my second day in Sri Lanka, I began to notice the considerable number of dogs lying around next to roads or scavenging for scraps of foods. In most cases these dogs are not a pretty sight. Most are thin, many are mangy and flea-ridden. While the more fortunate animals have caring owners, by far the majority of the dogs I saw were feral. The feral dog problem is interesting. In past years the government has tried dog control programs, none of them very successful. More successful are its rabies control efforts. The reasons for these failures and successes are complex, but are rooted in the country’s Buddhist majority. 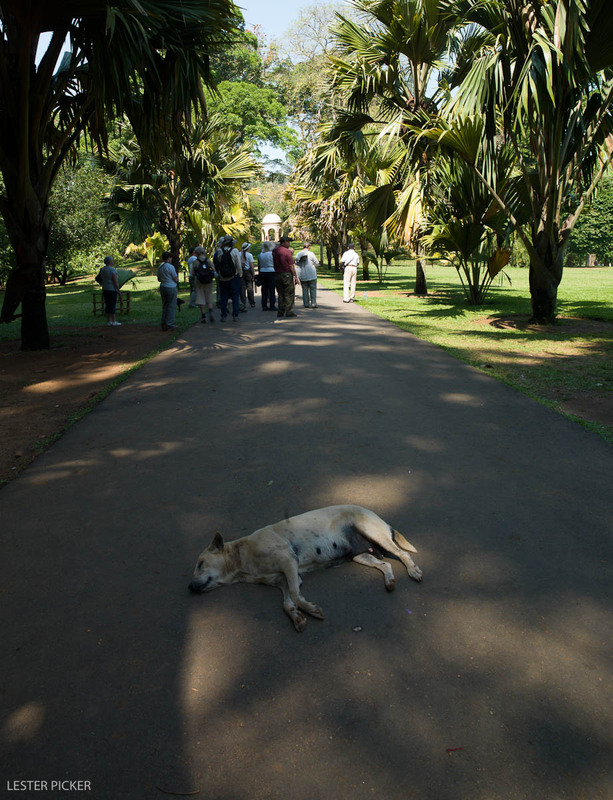 Invariably, dog euthanization efforts fail because Sri Lankan Buddhists believe the dog may be a reincarnated spirit, and so when the animal control officers come around, they will say that the feral dogs belong to them. On the other hand, rabies control efforts are very successful because it benefits both dogs and people. 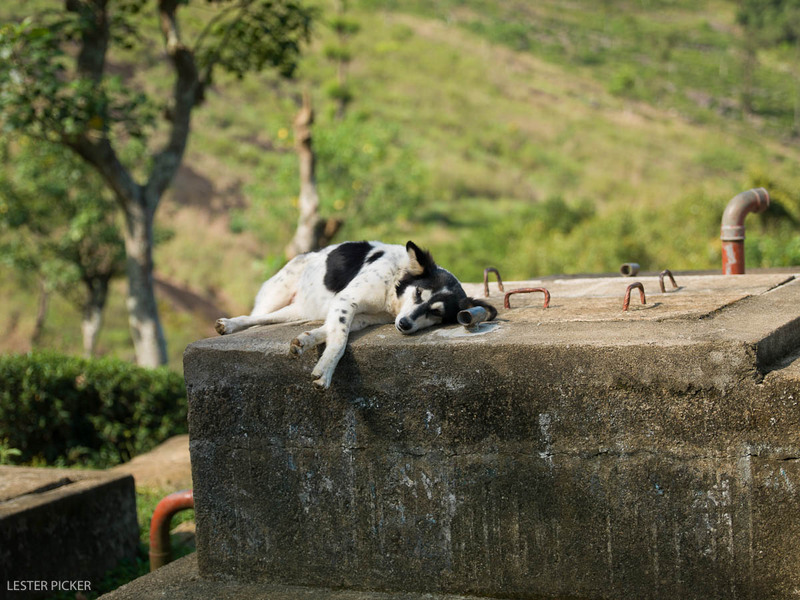 In any event, the upshot is that dogs are found everywhere in Sri Lanka, mostly sleeping on their sides in the hot Sri Lankan sun. Or in train stations, on rocks, in bazaars, in alleyways. They care not a whit that people are walking around and stepping over them. On one trip, a small macaque monkey scavenged in front of, around and over a sleeping dog who opened one eye every so often, but otherwise seemed quite content. None of the dogs I saw were aggressive in any way. Instead, they sometimes come up to you, tail between their legs, looking for scraps of food. Most will adopt a family and just hang out around their homes, if they are in a rural area. In towns and cities, the dogs will hang around parks or in front of shops. People do not seem to mind at all and never once did I see a person shooing a dog away. Peaceful coexistence ala Buddhism.